Again establishing the University of Maryland (UMD) as a leader in the development of groundbreaking battery technology, a team led by researchers at UMD's A. James Clark School of Engineering has created a water-based zinc battery that is simultaneously powerful, rechargeable, and intrinsically safe. A peer-reviewed paper based on the research was published April 16 in the high-impact journal Nature Materials. Together with colleagues at the U.S. Army Research Laboratory (ARL) and National Institute of Standards and Technology (NIST), the UMD engineers combined old battery technology (metallic zinc) with new (water-in-salt electrolytes). Building on prior UMD advances to create safer batteries using a novel aqueous electrolyte instead of the flammable organic electrolyte used in conventional lithium-ion batteries, the researchers cranked up the energy of the aqueous battery by adding metallic zinc - used as the anode of the very first battery - and its salt to the electrolyte as well. "Water-based batteries could be crucial to preventing fires in electronics, but their energy storage and capacity have been limited - until now. 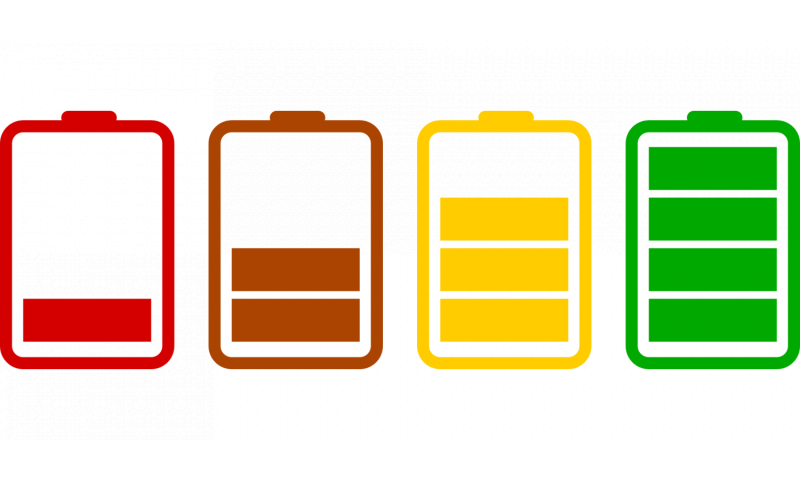 For the first time, we have a battery that could compete with the lithium-ion batteries in energy density, but without the risk of explosion or fire," says Fei Wang, a jointly appointed postdoctoral associate at UMD's Clark School and ARL, and first author of the paper. Further, in this collaborative effort, the researchers identified the fundamental reason causing irreversibility in zinc batteries - a phenomenon observed in rechargeable battery usage where the amount of charge a battery can deliver at the rated voltage decreases with use - and found a novel solution to it. The secret was to alter the solvation sphere structure of zinc cation (positively charged ions). 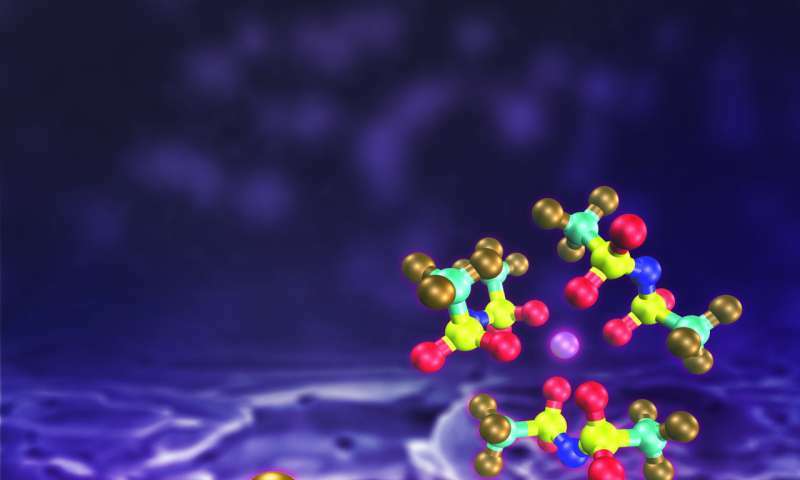 "Because most water molecules in the new electrolyte are strongly bonded by the highly concentrated salt, the water in the aqueous zinc battery's electrolyte will not evaporate in an open cell. This advance revolutionizes zinc-air batteries, which are powered by oxidizing zinc with oxygen from the air, such as those used in energy grid storage," adds Chunsheng Wang. "using either LiMn2O4 or O2 cathodes—the former deliver 180 W h kg–1 while retaining 80% capacity for >4,000 cycles, and the latter deliver 300 W h kg–1 (1,000 W h kg–1 based on the cathode) for >200 cycles." So actually, it's a lithium-zinc battery, which gives a moderate energy density and a long cycle life, or a zinc-air battery which gives it a high energy density and a poor cycle life. "Fei Wang cites the numerous battery fire incidents in cell phones, laptops, and electric cars highlighted in recent media coverage"
...which is sorta the point: "highlighted in *media coverage* "
But does anyone highlight that for internal combustion cars there's one fire every 20 million miles while there's only one fire for every 100 million miles in EVs? No. Weird, isn't it how the media works? Is it because Tesla is the new kid on the block (and doesn't buy any ads off the TV/radio networks)? "But does anyone highlight that for internal combustion cars there's one fire every 20 million miles while there's only one fire for every 100 million miles in EVs?" So far - and it's hardly a fair comparison when you got 20-30 year old cars in all conditions of disrepair on the roads being compared to brand new EVs. Plus, one common cause of car fires is arson and insurance fraud. And the failure modes are different. You get the battery wet and the car catches fire (Fisker Karma), you crash the car and it catches fire two weeks later (GM Volt), you crash the car and it catches fire instantly (Tesla). You drive the car out of the dealership and it catches fire (Tesla). You run over road debris and the car catches fire (Tesla)... etc. etc. When the battery catches fire it goes up like a road flare on steroids, and firefighters have a hard time putting it out because water makes it go worse. And it's a moot point to complain how ICE cars have flammable fluids on-board when the lithium batteries contain gallons of flammable electrolytes. Only difference is, when you pierce a gas tank with a pointy object, it doesn't ignite, but when you pierce a lithium battery it does. ...electrical fires from loose connectors, worn-out switches and broken insulation.